Home sellers beware: the second that home buyers step out of their car and into your driveway, they are sizing up your lawn, walkways, architectural details, and most importantly, your front door. Be prepared. Your front door is the first thing that people see when they arrive at your home. Don't be afraid to let it make a statement. Amy Wax, an architectural color consultant, tells This Old House, that people are starting to branch out from the traditional classic green, red, and black colors. 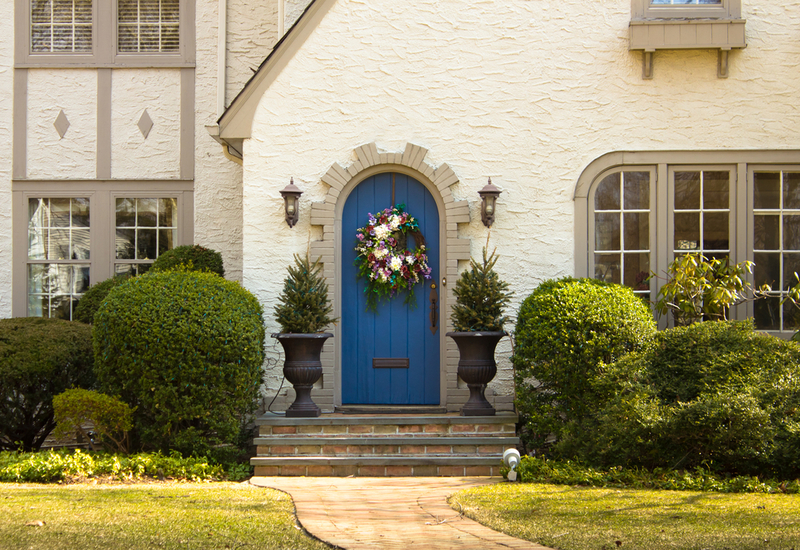 If you're trying to attract more buyers this season, look to shades of color that instantly welcome buyers to your most prominent exterior door. When I'm helping my design clients stage the exterior of their homes for sale, they often only concentrate on the lawn and the walkways, and I have to remind them that the front entry is even more important. The front door is the welcoming point of your home, and therefore a striking door color-or one that complements the rest of the home-is essential. Look to the main or "field" color of your entire home for color ideas. If your home is a neutral color such as beige, brown, or gray, than an eye-catching color such as blue, red, yellow, orange, or even a purple eggplant color could be perfect. If the field color of your home is brick or flagstone that incorporates a lot of different colors, a more subdued charcoal gray, burnt umber, or hunter green could bring the color palette of your outdoor home together nicely. The best part about a bold front door? You may be able to substitute repainting your entire exterior with striking elements like shutters or doors, cost-effectively transforming your home's entire look. Growing up in the rural mountains in Colorado, I have always been drawn to gorgeous, rustic stained wood. In the right cases, I find that a natural wood front door can enliven a home's exterior. While a painted door color is beautiful, don't be afraid to remain natural and neutral. Use a wood stain that compliments the exterior materials of your home. 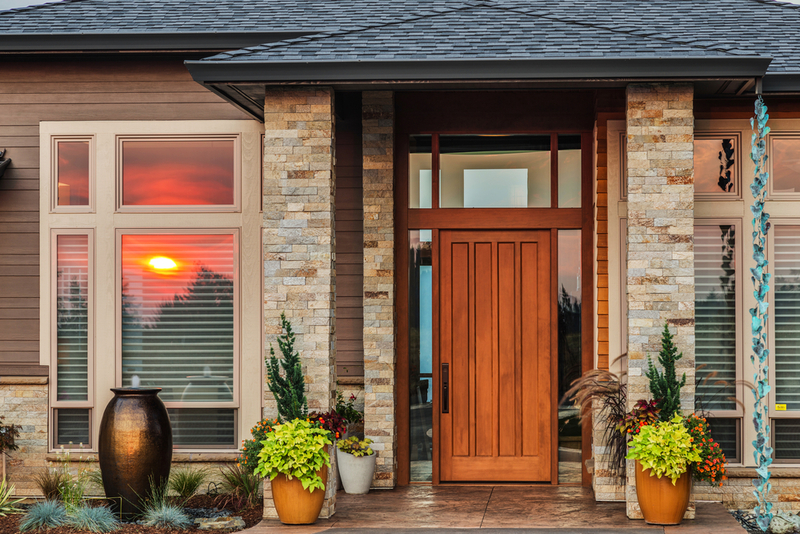 The wood door in this image mimics the brown highlights of the stonework façade, creating a welcoming entry that potential buyers will want to rush into to see what awaits inside. Many front entry doors have side windows, also called "lites" that can be enhanced by staining or painting the mullions that hold the window in place. This creates an architectural statement for your door and window frame ensemble. Topped off with new door hardware, address numbers on the wall, and a fresh welcome mat, you're ready for your next potential buyers. When choosing the right door color is a challenge, I tell my clients to seek inspiration in the paint section of their home improvement center. Look to the exterior paint color swatches or "fan decks" for color combinations that designers and paint manufacturers have already chosen for you. From main field colors, to complimentary primary and secondary accent color options, you can give a designer look to your front door color without the stress of ensuring the colors match. If you are feeling creative, try out your own color; that's the beauty of paint-you can always change it later. 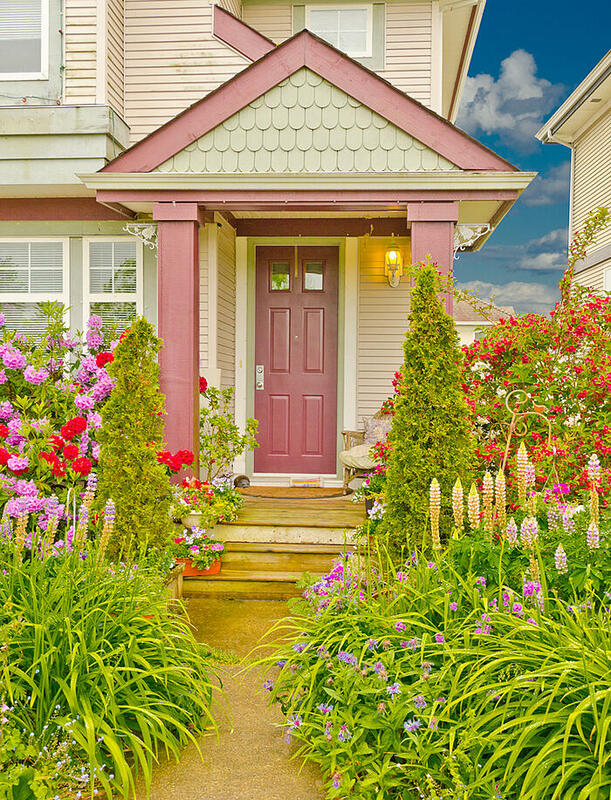 Hopefully you're now feeling inspired to create curb appeal that buyers will love, with these colorful ideas for your front door! Author bio: Home design and lifestyle expert Ronique Gibson provides tips on doors and other home exterior details for Home Depot. Ronique is the author of the e-book 111 Simple Tips for your Everyday Home. You can view a selection of front doors available at Home Depot at www.homedepot.com/b/Doors-Windows-Doors/N-5yc1vZas82.